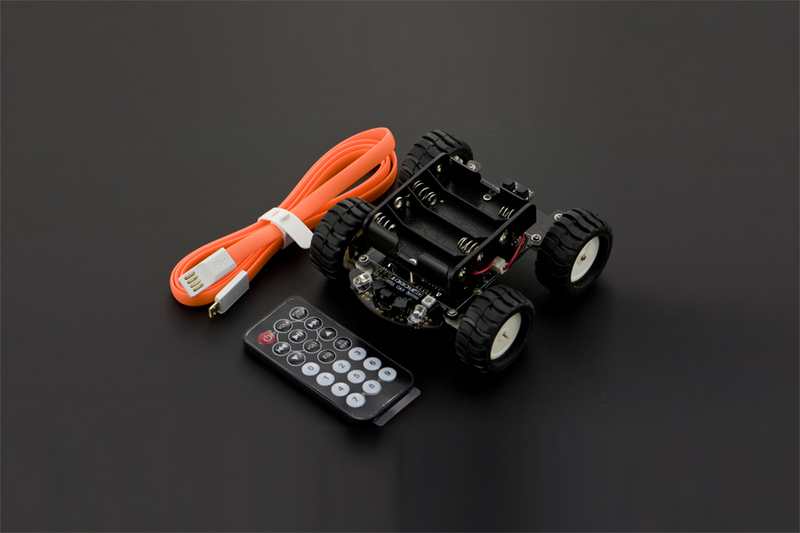 4WD MiniQ mobile robot is especially designed for learning purpose. It comes fully assembled and all your need is a PC with Arduino IDE and 4xAA battery. 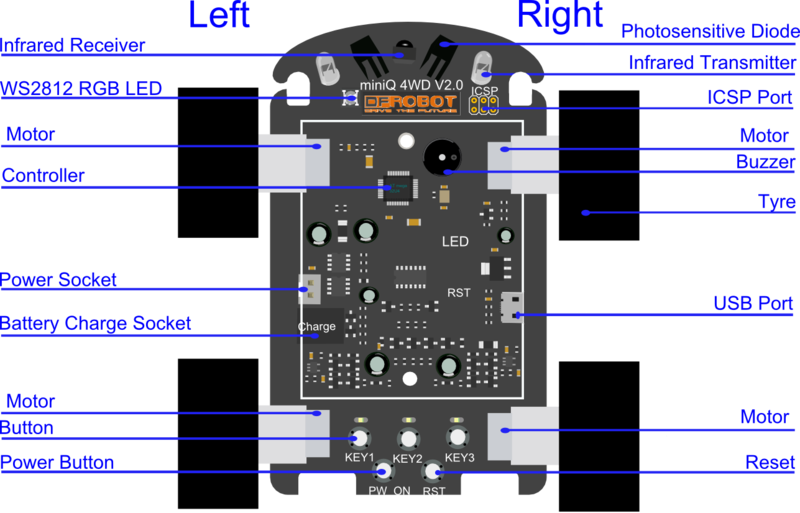 This upgraded version of MiniQ 4WD Kit comes with new Arduino Leonardo controller (ATmega32u4), and also integrates such modules as 1 RGB, LED, photosensitive diode, 2 infrared trasmitter, 1 infrared receiver, two light sensors, 5 buttons and 1 buzzer. NOTE: MiniQ 4WD Cherokey is diffenrent from MiniQ 4WD: Adjust the clearance between chassis and ground from 9mm to 25mm. Cancel the 5 line_follow sensors under the chassis. If you want to add the feature, you could buy the digital tracking sensor, remember it is a digital module while the sample sketch is for analog one which is the component on the digital module, it means you could get it off from the module, and solder it on to the chassis. Thus it improves off-road capacity of Cherokey in complex terrain. MiniQ 4WD offers 8 lessons for beginners ,from entry to hunting the line,obstacle avoidance, remote control.Users can easily grasp through the tutorial.